Albert Einstein said of Mahatma Gandhi: "Generations to come will scarce believe that such a one as this ever in flesh and blood walked upon this earth." A deceptively simple man, Gandhiji overturned the greatest empire the world had ever seen. 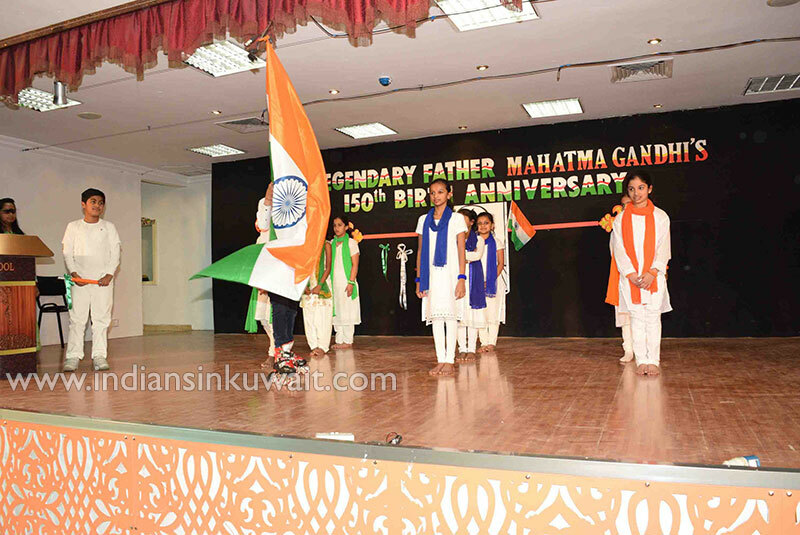 To mark the 150th birth anniversary of Mahatma Gandhi a spectacular programme was showcased by the primary students of Indian Educational School, Kuwait. The programme started off with the rendering of the famous “Raghupati Raghav” song. 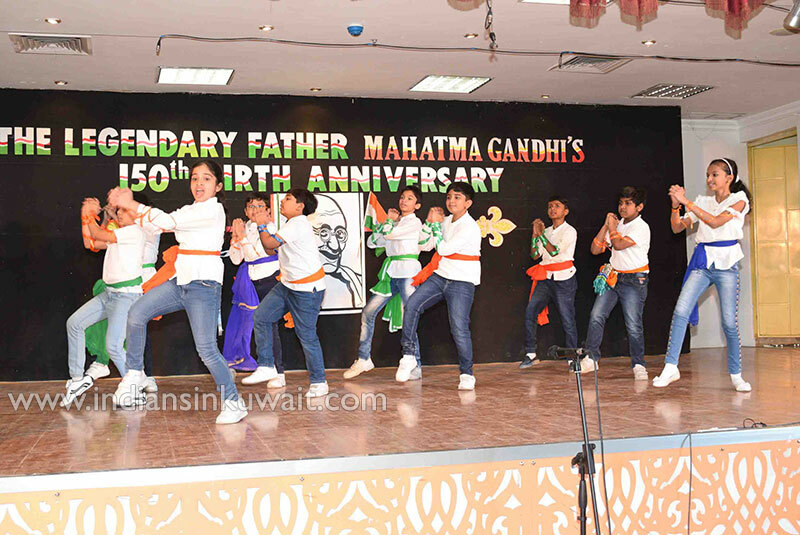 After that a dazzling performance of dancers was staged, followed by the much appreciated skit based on a few incidents from the life of Mahatma. 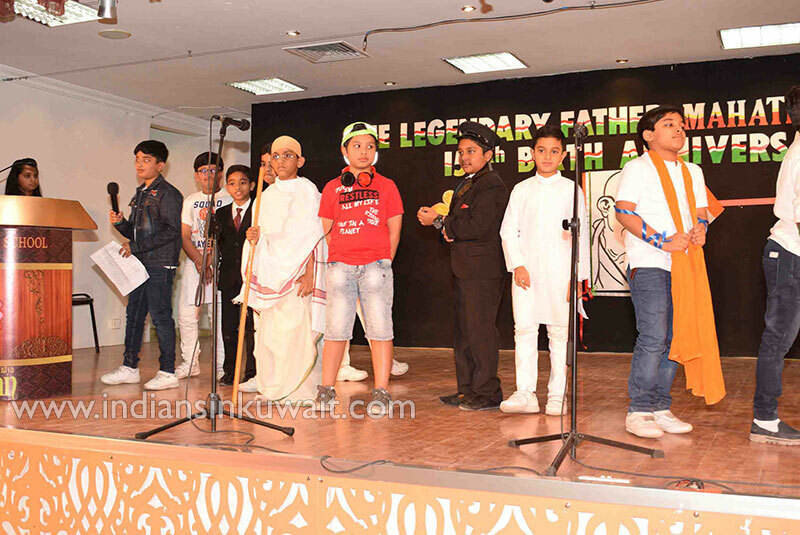 The different scenes enacted by the kids flashed glimpses of Gandhi’s life and touched the hearts of the audience. They acknowledged the actors’ performances with thunderous applause. 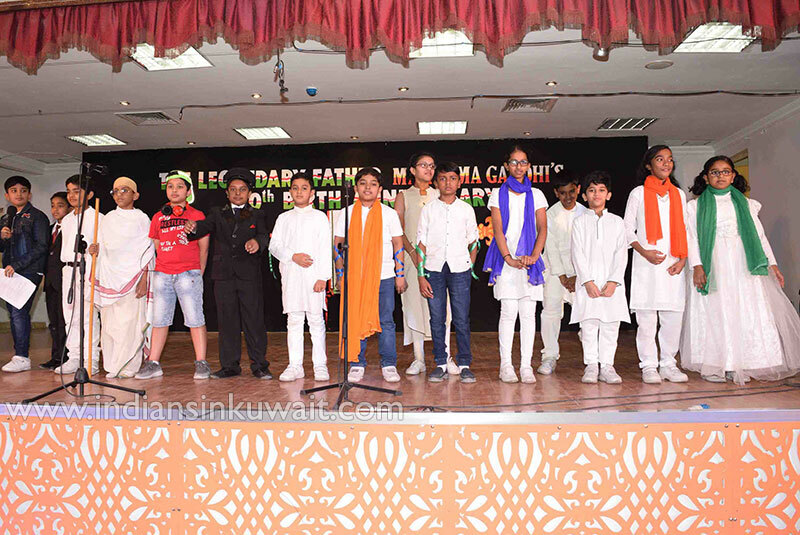 After the well appreciated skit, the students gave a beautiful presentation on “SWACHH BHARATH” through which they conveyed Gandhiji's message of the importance of keeping the school and class rooms clean and beautiful. 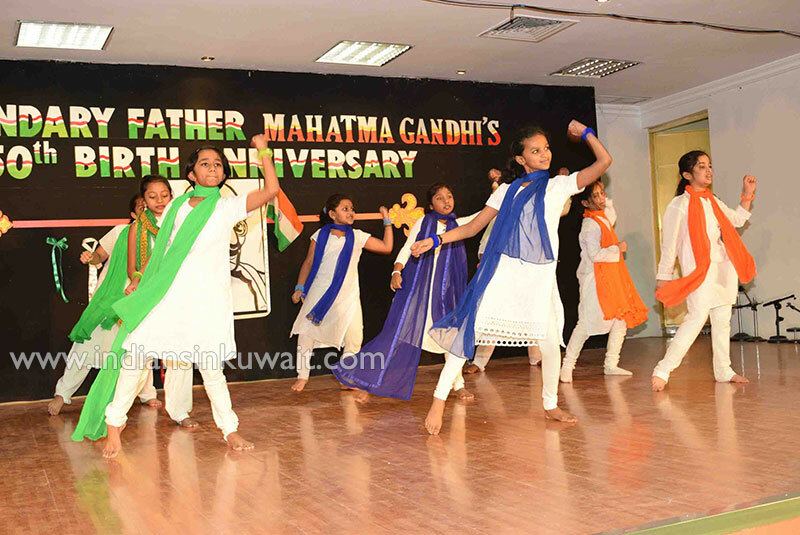 The students even took an oath to awaken the Gandhi within them. The songs and the quotes were liked by all. To add flavour to the programme the dynamic dancers performed a scintillating dance to the song” India wale”. 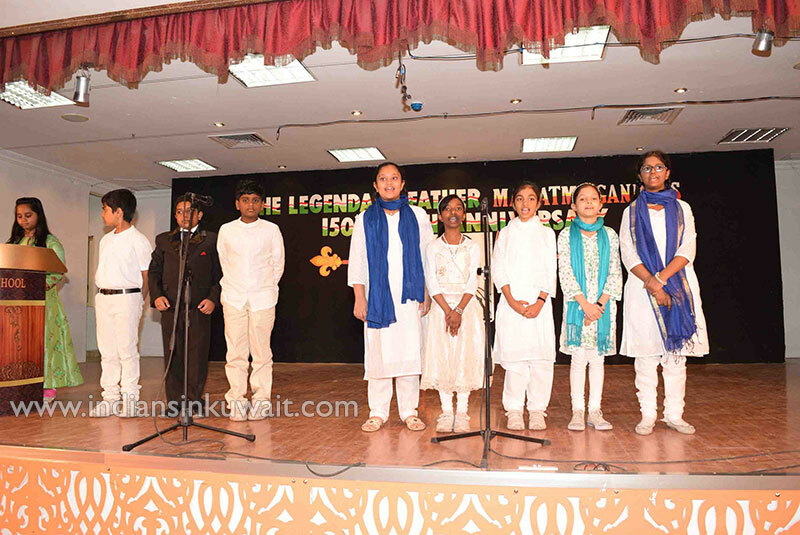 The rendition of “Vaishnav Janto” and “Vande Mataram “added a patriotic fervor to the event. 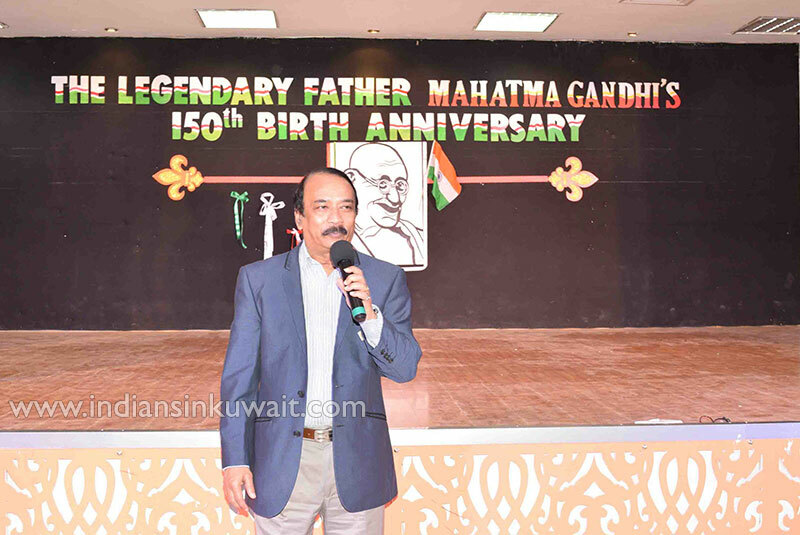 To wind up the programme, the Principal of the school Mr. T. Premkumar addressed the students and emphasized the need to follow Gandhian principles. 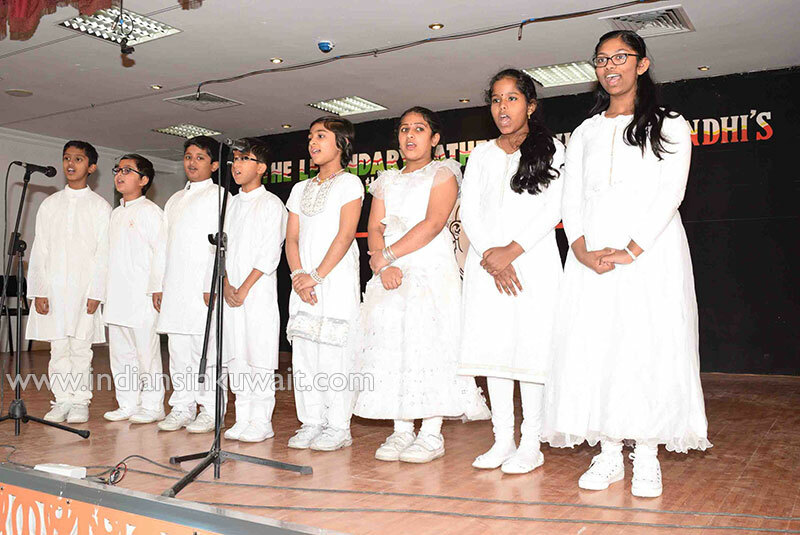 The Vice Principal Mrs. Lalitha Premkumar also appreciated the students for their brilliant performance. 71 years after his death, Gandhiji still lives in the hearts of millions across the world. Let's follow the devine light lit by 'Bapu'. Let's be the change that we want to see in the world. Let's transform the world into a beautiful garden devoid of all the vices, and make it a better place to live in; better than the paradise.